It’s hardly a surprise that The Masters is the heaviest betting golf event of the year along with attracting the highest TV ratings. GolfWeek’s Dan Kilbridge outlines how much moolah is wagered during Masters week. With betting open year-round, the total amount of money wagered on the Masters in Las Vegas will be about twice as much as the British Open. It will also do about 20 times more than an average non-major, like last week’s Valero Texas Open. The overwhelming majority of Masters bets are placed on an individual player to win the whole thing. Prop bets and matchups only represent about 5 percent of the total handle. 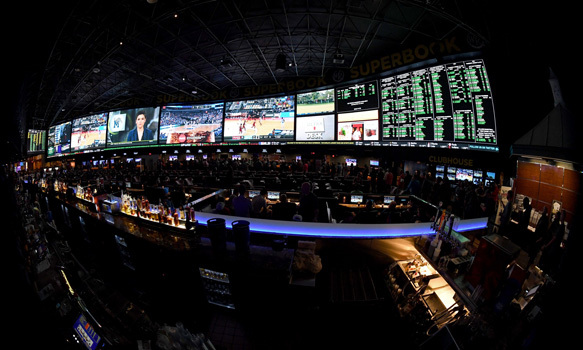 About 30 percent of total money wagered on the 2019 Masters will come in this week, and when it’s all said and done the total handle is expected to be about half of that wagered on college basketball’s national championship game. Rory McIlroy is the favorite this year at 7-1 odds on Points Bet, with Dustin Johnson next at 10-1 and Tiger Woods and Justin Rose at 12-1. Players with odds more in-line with recent winners include the likes of Tony Finau, Matt Kuchar and Xander Schauffele at 40-1.